Be Vegantastic! : Where Can You Buy Non-GMO Corn? 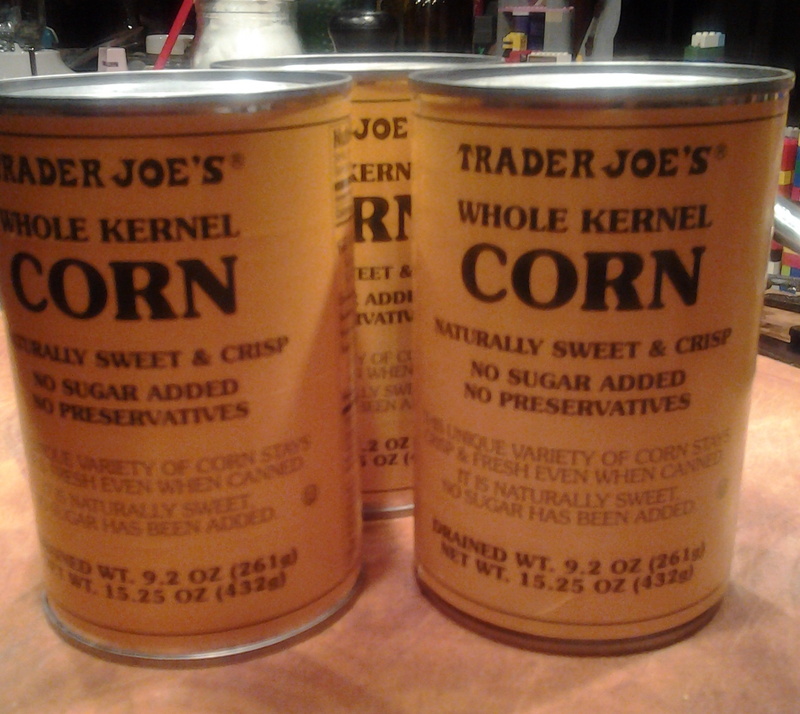 You can buy non-GMO canned corn at Trader Joe's. It's not listed as non-GMO on the can, but it is on their site. They are also not non-GMO verified, but I am hopeful that they are telling the truth because I miss eating corn. I think they only have this out around the holidays, so don't wait to pick them up. I bought...I forgot...ten maybe twenty cans. Thank goodness for pantry cabinets. It's my favorite vegetable side at Thanksgiving. I know boring, but whatever. "Trader Joe's Whole Kernel Canned Corn contains only the finest, non-genetically modified, Midwest-grown, whole kernel supersweet corn, a unique variety that is naturally crisp and sweet. We never add sugar or any artificial ingredients or preservatives. And we work closely with longtime suppliers to negotiate great prices, which we hold as long as possible (not the easiest feat for such a fickle commodity). First introduced in 1982, our iconic yellow can of corn has become a beloved Trader Joe's tradition. And we all know that traditions are right at home at the Thanksgiving table. We're selling each 15.25 ounce can for 89¢." You can read about their food labeling policies on their Product Information page.